Once upon a time in the early 1960s, a well-known economist from the University of Chicago declared that a business’ sole social responsibility was to increase profits for its shareholders. While it is true that a business does need to generate profits if it is to be financially sustainable and fulfill its financial obligations to financial backers, it is also true that businesses which fail to demonstrate any kind of corporate social responsibility will eventually jeopardize their social capital, along with their financial and organizational sustainability. Choosing to use some of your profits to improve the well-being of your employees or contract workers and to strengthen your community and local economy will certainly boost your social capital (and perhaps your financial capital), but more importantly sharing the prosperity with those who indirectly and directly support your business is the right thing to do. As a socially responsible microentrepreneur, “profits at any cost” is not likely to be your motto. Rather, you might be more inclined to wonder at times whether it is possible to run a business that is not only environmentally and socially responsible but also financially sustainable enough to both generate profits and share the prosperity with your people and local community in the medium and long run. The answer to the above question is “Yes, it’s possible.” This week we’ll explore some ways to share the wealth without breaking the bank or jeopardizing long term financial sustainability. 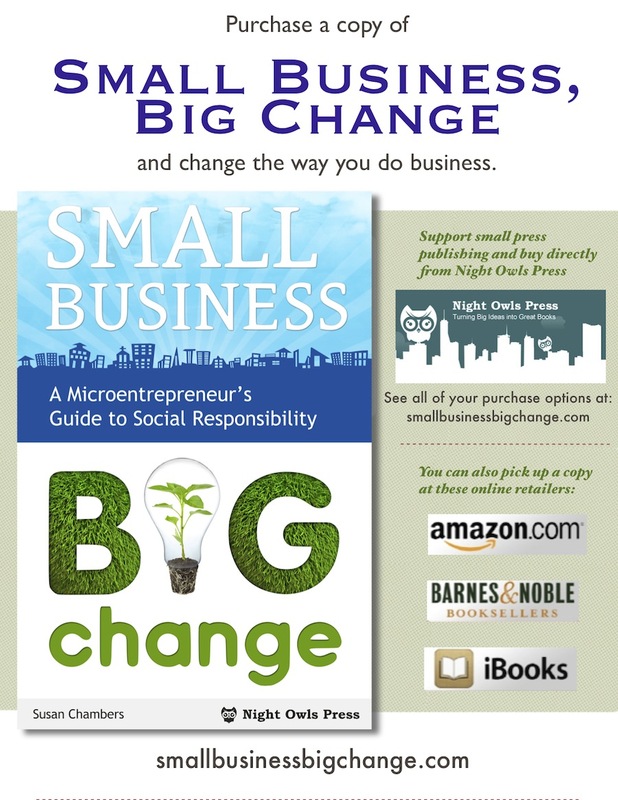 As I point out in Small Business, Big Change: A Microentrepreneur’s Guide to Social Responsibility, a vibrant, sustainable business grows it profits by (1) providing useful, high quality goods and services that have a viable market (value) and (2) treading gently on the earth and making a positive contribution to the lives of its employees and to its local community. What does giving back to your employees and the community look like? It might look like investing in your employees’ well-being and professional development by providing your employees a living wage and other benefits, as Saul Brown does for his employees at Saul Good Gifts Co. Saul Good Gifts also partners with local suppliers and social enterprises, thereby providing revenue generating opportunities for other businesses. Joe Staiano of Meaningful Trips contributes a percentage of his net profits both to NGOs located in the countries where he leads socially responsible travel tours and to programs back home in the U.S.A. that alleviate poverty and hunger. If you are a solopreneur like Kate Sutherland, sharing the wealth might look like inviting others in your network to collaborate on projects that generate wealth while also strengthening local communities. Other ways of sharing the prosperity might include contributing to a community foundation grant or reaching out to and working with historically underused businesses. You may not be able to take on some of these “big ticket” S-R practices right away—especially if you’re just getting started with your business or your S-R transformation—but by setting small, achievable goals and working within your means, you are setting the stage for future success, both in terms of achieving longer term S-R goals and building the long term financial sustainability of your business. 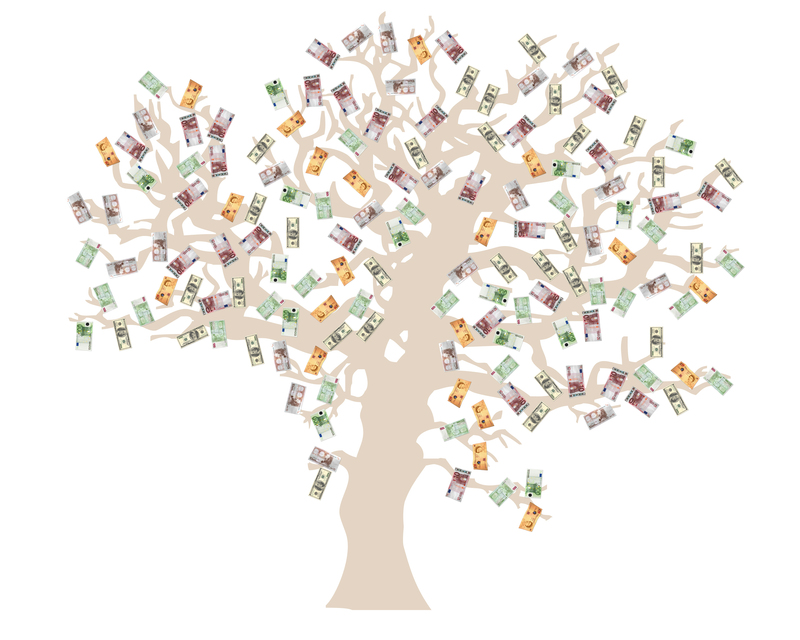 Before deciding to implement any wealth sharing S-R strategies, it is critically important to evaluate your resources and determine whether you are in a good position to adopt any strategies that involve making—and keeping—long term financial commitments to others, whether that be in the form of regular donations to an organization, setting up a profit sharing arrangement with employees, or increasing your employees’ salaries. If you have investors, business partners, or you have business loans from your bank, be sure to talk them and get their approval and input before you implement your wealth-sharing activities. Make the time to do a cost-benefit analysis and a detailed analysis of your cash flow, revenues and projections and then set up an appointment with these stakeholders to talk about your vision and strategy for sharing the wealth over the years. Throughout this post, I’ve offered both some general suggestions for indirectly boosting prosperity and specific examples of how various microentrepreneurs share the wealth generated by their businesses. However, those strategies may not work for some of the microentrepreneurs reading this blog. Ultimately the S-R strategies that will work best for you are those that are also tailored to your situation; that is where you’re starting from and what resources are available to you. Here are a few more suggestions for sharing the wealth with your people and your community and boosting prosperity for everyone. Celebrate special occasions and milestones; treat your employees to a nice meal. Check to see if it is possible to get extended health/dental benefits for microbusinesses through local business associations. Give employees paid time off to participate in volunteer and civic engagement activities that resonate with employees. Seek out and develop partnerships with social enterprises and historically under-utilized businesses; if you are happy with the services, recommend them to others in your network. Make a donation to a registered local non-profit organization. If you have a bricks-and-mortar business, invite volunteers and staff from a non-profit organization to set up a table and raise awareness about their recent campaigns. Consider donating a portion of net profits to that organization on that particular day. What are some other options that are “easy wins” for socially responsible microentrepreneurs who either want to help generate wealth within their local economy or who want to share their good fortune and prosperity with their people and community? Share your ideas in the comments section. Historically underused businesses refer to businesses owned by women and visible minorities that have not historically received equal opportunities as suppliers or business associates. Ibid, p. 154.